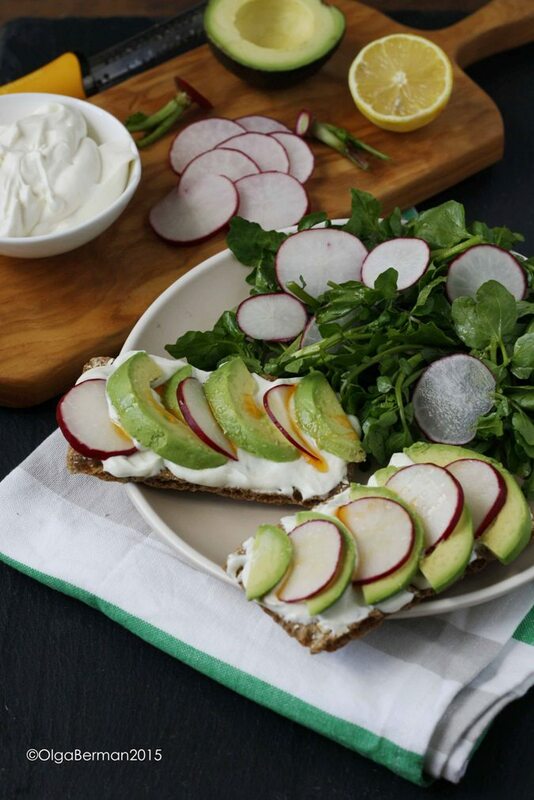 Raise your hand if you love avocado toasts! Do you have yours raised? I surely do. 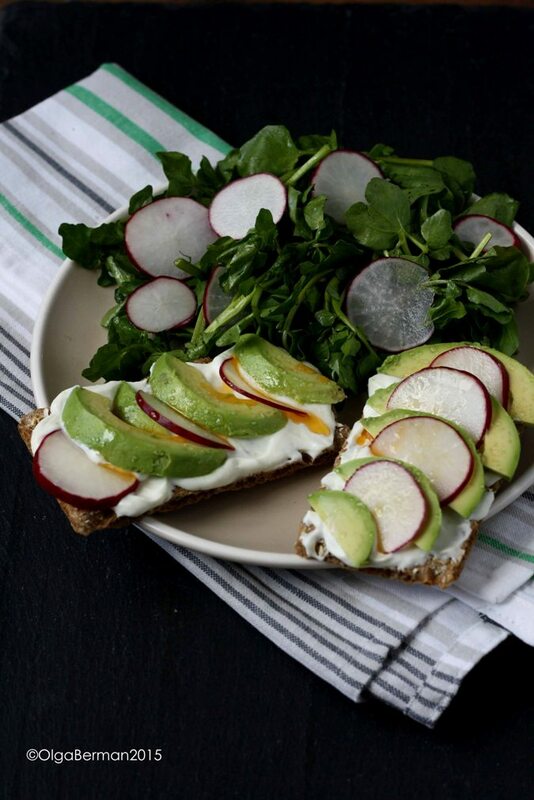 I love smashing avocado on toast or crackers or buns and sprinkling a bit of salt on top. Sometimes I also add a bit of sriracha or lemon juice or even chopped pistachios. Yesterday for a light lunch I took the idea of avocado toast and elevated it to something even better by using a base of whipped lemon ricotta!! 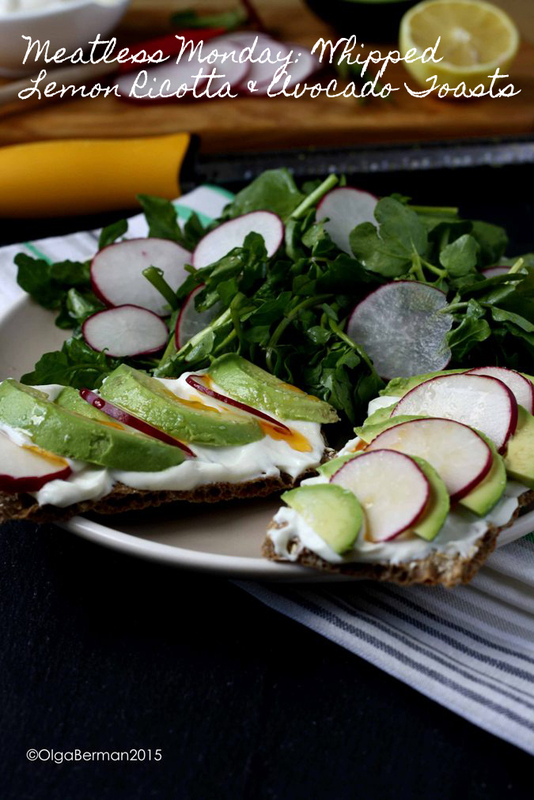 You have got to make this for breakfast, snack, lunch or dinner. 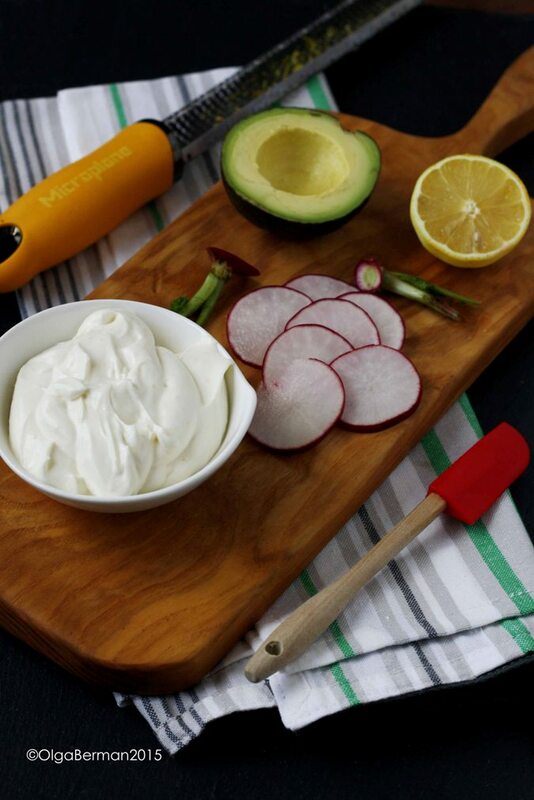 This Whipped Lemon Ricotta & Avocado Toasts idea is perfect for Meatless Monday. 1. Put ricotta, lemon zest, a bit of olive oil and salt to taste in a food processor and whip it up until ricotta is incredibly smooth. 2. 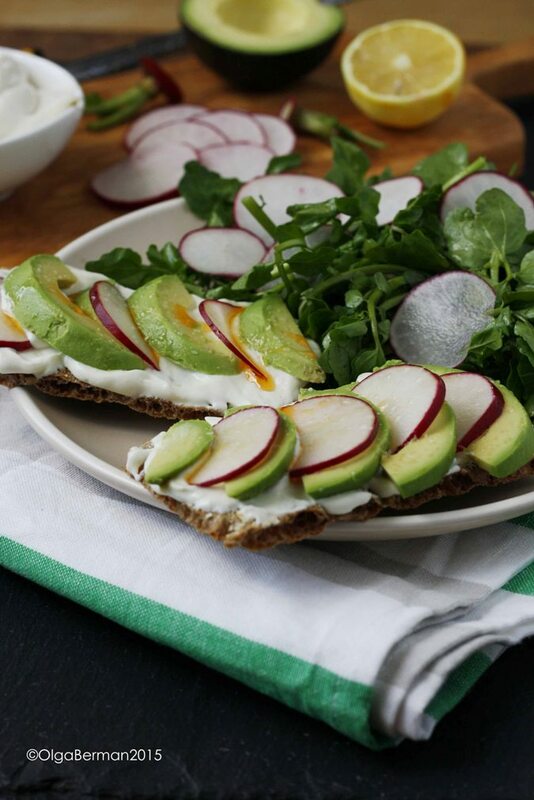 Spread ricotta mixture on WASA crackers and top with avocado and radish slices. Season with salt and drizzle with chili oil. 3. Serve these with a simple salad of watercress and radishes dressed with lemon juice and olive oil. I'm back to using my tripod and think the photos are so much more in focus: agree?